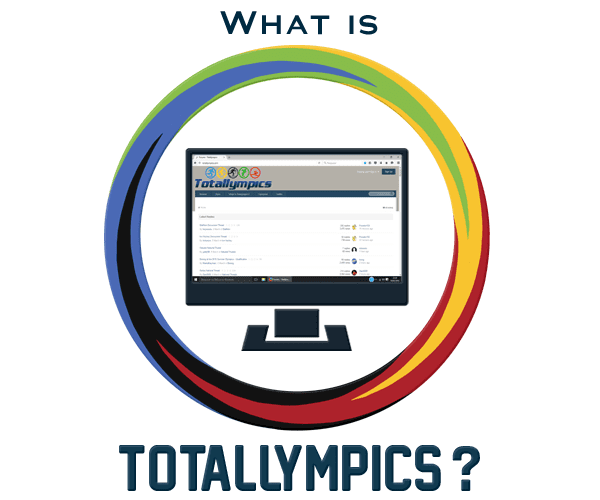 Totallympics is a forum (Discussion Site) focused on Olympic Sports, where Sport Fans from all around the world can discuss about all sports with a particular focus on Olympic Sports and on Olympic Games, being always updated about everything related to them. On Totallympics they can share their comments and feelings about all sport events, representing their nation and meeting new sports fans from all around the world. Totallympics follows all international sport competitions for all the Olympic Sports, from World Championships to Continental Championships, from World Cups to Junior Competitions, providing results, information and comments by all Totallympics users, with a particular focus on Olympic Qualifications. Totallympics users will be able to read all of the forum's threads, other users' opinions and encouraged to write messages, share personal comments and personal feelings about any thread on the forum. Totallympics opened in March 2011 and has covered London 2012 and Sochi 2014 Olympic Games, focusing on Olympic Qualification and everything related to the Olympic Games. After a huge database problem in February 2016, Totallympics had a new start in March 2016, with a new forum software, but all previous posts were lost. This is the reason why you will not be able to find any posts dated before March 2016, but those who had the chance to visit Totallympics between 2011 and 2016. If you are interested in Totallympics, you can Register on the forum. It's a free, quick and easy process that will allow you to start writing messages in all sections of the forum and interact with other users. If you have any questions or problems, feel free to contact Totallympics staff anytime using the Contact Form.